Jack telling us about The Whites. On August 27th Black Creek Outfitters hosted a Guru Session led by Jack Stucki. The subject matter was “Hiking the White Mountains” of New Hampshire. The range consists of 48 peaks which exceed 4,000 feet known as the 4000’ers. It includes Mt. Washington, which at 6,288 feet is the highest mountain in the Northeast. But it’s more than just numbers and names. “The Whites” are a destination for college students, adventure seekers and families. Jack’s memories of this section of the AT are varied and happy. The kindness of the people in trail towns, the pristine upkeep of the trail and most of all the amazing views. If this is not on your bucket list it should be. The irony is that my family will be in this area for our Christmas trip. While winter in The Whites can be dangerous Jack assured us that there are still sites aplenty. While there are many areas to hike The Whites, Jack focused on the section which he traversed while hiking the AT. Therefore the mentions, for example the notches, are not fully inclusive of all The Whites. The Guru discussions occur every Wednesday evening, with pauses in the series based on availability as well as breaks for planning and actual outdoor adventuring. If you are in the Jacksonville area and would like a session dedicated to a specific topic you can reach out to me or ask for Jack when you visit the store. If you see anything which you feel is incorrect I always appreciate feedback on how to improve upon, or further elaborate, the information conveyed. I have also tried to include more informative links to items noted in the session. 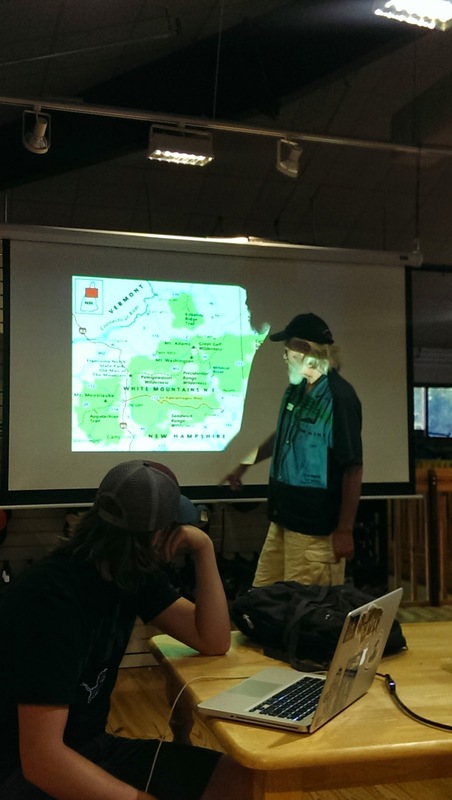 On August 20th Black Creek Outfitters hosted a Guru Session led by Jack Stucki. The subject matter was “Section Hiking the Shenandoah Nation Park”. Jack believes the Shenandoah section of the AT is a great hike for beginners due to the relatively level terrain. Add to that welcoming lodges with full service facilities (dining, pool, sauna, etc.) and you have a place the whole family can enjoy. What makes this trip a welcoming temptress are the fine folks willing to shuttle you to any put-in. Oh, and then there is a great mountain a bit south of the southern terminus. But you will have to read on for that. If you see anything which you feel is incorrect I always appreciate feedback on how to improve upon, or further elaborate, the information conveyed. Jack states the Shenandoah Valley is an easy hike, compared to other sections on the AT, and one of the most beautiful. Many side trails that lead to places to sleep and more vistas. 103.3 mi – Rock Fish Gap to Front Royal VA.
Add 4 miles of walking to leave the trail for the closest town. Elevation stays between 2 and 4 thousand feet. Best time of year – Autumn. Got into the teens during Jack’s time in late September/early October. Blazes change from white to markers noting your location. You’ll see bears and deer. The wildlife is robust. Bears have been humanized, so be mindful. That said Jack’s experience with a mother bear and her cubs was benign. Bears Den Hostile – owned by AT Conservancy in the Shenandoah Valley. Permits – pretty easy to get a permit. You self register in the kiosk just inside the valley, coming north and south. No charge. You will be fined heavily if you do not get a permit. You can stay any place for a max of 2 nights. You can reserve spots, but they are not shelters. Shelters are first come first serve. Picnic pavilions are considered shelters. Camping shelters are called “huts”. There are 8 in the park. The park embraces stealth camping. 50 yards from another party and 10 yards from water. Cabins are free, but they can be reserved. They’re located just off the AT. You have to be a member of the PATC – Potomac Appalachian Trail Club – to reserve a cabin. Big Meadows, in the southern part, has a resort next to it. Waysides – three of them. Here you can replenish your gear. Think of them as a convenience store. In theory you could limit the food you carry in and supply on trail. Your supposed to camp a 1/4 mile from a wayside. But knowing there are hot meals, good luck with that. Two national park lodges in the park – one 1/3 of the way from the north and south points. Four trail towns close to the park: southern end Waynesboro, 50 miles south of Waynesboro is Buena Vista, Front Royal at top, Luray just south of Front Royal. Ironically Jack suggests the following – Rockfish Gap to Cow Camp Gap (about 50 miles) gets you over 3 Ridges Mountain. You’ll hit a mountain called The Priest. A top 3 place on the AT for Jack. Jack recommends staying on top of the mountain. It’s just above a water supply. Good place to solo hike. Jack recommends checking in at every journal. Jack noted there was sufficient natural water supply points. June, July and August are wicked hot. Memorial Day and Labor Day are crowded. As is late October to watch the leaves change. Early spring is nice – no bugs. Mid-April is when the thru hikers start to come through. You can also kayak the Valley. Most AT miles are in VA.
On August 13th Black Creek Outfitters hosted a Guru Session led by Evan Fullford. The subject matter was “Selecting the Best Footwear for a Long Distance Hike”. A strong proponent of minimalist hiking, Evan went from sandals to shoes to boots. In spite of the title focusing on long distance hiking, Evan fielded questions relative to a variety of trail time from a simple run to a through hike. An unexpected benefit of the session was Evan explaining the importance of arch support and how people strike the ground. Use a skeletal foot he detailed how shoes can assist impact points. Evan noted the difference between water resistance and water repellant. Unless there are no access points for the water the interior will get wet regardless of the coating. Be mindful that all leather vs. leather/mesh with Gore-Tex might give you the same degree of water protection. If you can carry the weight, carry the sandals with you for water crossings. Personal preference. Do not wear cotton socks when hiking. If they get wet they hold the water, and your shoes/boots will take longer to dry. Leather, however, is more durable. Evan shared his Salomon love: better arch support, lighter and simply better construction. Discussed the importance of knowing about arch support. Defined pronating http://dictionary.reference.com/browse/pronating and supinating http://dictionary.reference.com/browse/supinating?s=t. Naturally your foot doesn’t need arch support, per Evan’s sources. This is something being debated by physicians. Those who support minimalist shoes note we’ve simply become accustomed to arches. Street running will kill the tread of a trail shoe. A street shoe does not have the best foot plate for trail comfort. For hiking, your shoe should not fit like a glove. Compensate for swelling. Also, when on trail you tend to consume more salt and you’ll retain water. When hiking downhill you don’t want your toe slamming against the front of the shoe. Go a half size above your normal, but consider it more different sizing. Discussed different insoles. Superfeet was our example. Make sure it suits your shoe. Some inserts can tear Gore-Tex. Your ideal hiking shoe bends where your foot is supposed to bend. Sounds obvious, but folks forget. Your price range for shoes/boots/sandals is $75 to $160 based on general public. These are still good quality, but as with anything you can get higher quality at a higher price. Fully understand the environment they’ll be used in. No reason to overpay because you’re romanced by features and technology you don’t need. On August 7th Black Creek Outfitters hosted a Guru Session led by Jack Stucki. The subject matter was “Pitching a Tent”. A strong proponent of minimalist hiking, Jack focused less on tent manufacturers and more on proper selection and use based on the type of hiker one is. He did offer some great advice on how to handle foul weather and dark conditions. As usual he also shared some entertaining stories which enhance the education element. Minimalist hiking is not cheap, but if you plan and save you will find the money you spend is priceless when it comes to the weight you’ll save. Before making any purchase do your research. Go to your local outfitter and let them take you through the variety of gear at your disposal. Know your trek. Car camping vs. section/through hiking. Jack’s focus is minimalist hiking, hence a minimalist style tent. Costs more, but if you’re packing it you’re getting value through less weight. Todays tents are silicone impregnated nylon, significantly lighter than the days of military grade pop up tents. Increased ground claws will allow for more space. Design idea. When rain comes, find a place to wait out the weather. Taking a tent down in the rain is less a problem. Suggestion: pack tent assembled so when the rain comes you have a quick setup. This is specific to fly only. Full tent enclosure is a different story. Inventory your tent and perform multiple pitch and take down excercises. Be efficient before trail. Prepare for the unexpected to a greater degree…do it in the dark. Don’t expect a light source. Jack and his daughter set used the week before trail to practice setting up the tent twice a day. “Fast fly” is the term used for pre setup. Big Agnes and Marmot have this capability. A bug bivy sack is an alternative to a tent if the weather is warm and you know you’ll have coverage if needed. Jack warned of hiking the AT that Lyme Disease is a danger between the months of mid-June through mid-September, going from VA to VT. Make sure you have a tent with coverage for weather and insects. Jack noted that buying a minimalist pack before buying the gear might not be the best idea. Minimalist packs are meant to carry minimalist gear. Whatever tent you buy consider how you’re going to carry it. Set the tent up in the store before purchasing it. Completely understand the pieces and space. Where will you put your wet gear and your pack? It comes down to personal preference. If you ask Jack, the best tent begins and ends with Big Agnes. On June 18th Black Creek Outfitters hosted a Guru Session led by Jack Stucki, with help from Evan Fullford. The subject matter was The Wonderland Trail, a hike 93 mile that takes winds around Mt. Rainer in Washington state. Jack, a veteran of the area, is making the trek again this September and felt his planning was better shared. The Wonderland Trail is a must for any hiker. If you are unfamiliar with the trail go to the National Park Service official site here. 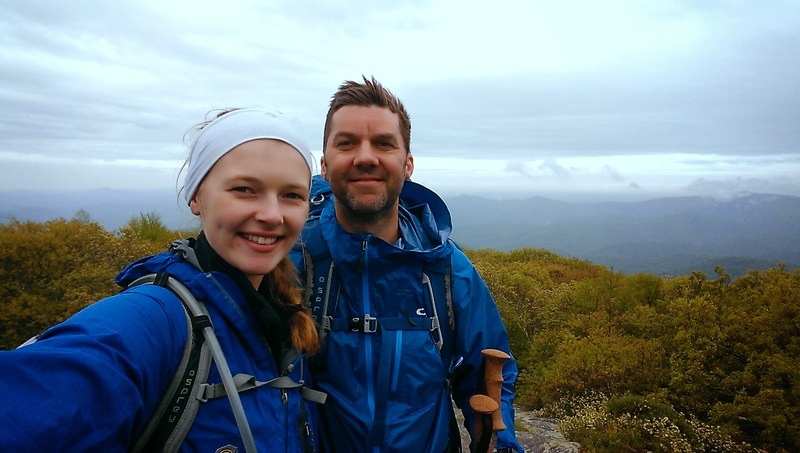 Apart from this site there are many hikers who have wonderful blogs detailing their adventure. * He is once again planning a hike and thought he’d leverage his planning experience to share with others. * Trail is on Mt. Rainer. * Going with his wife and daughter. * Trail goes around the mountain. * The two times Jack went he started at Paradise Inn. Nice place to begin and end. * 25 permanent glaciers. Water is not going to be an issue for year round hiking. * 9 wilderness backcountry camping areas. Flowers on 75 days a year. Hard for foliage to adapt. You must have permits to hike. Middle to the end of April. This year it’s first come first serve due to the number of requests. They will hold out permits for walk ups. * Many day hiking trails start near or at Paradise Inn. * Camp Muir, at 10k ft, is where folks begin their ascent. No need for axes or crampons. Cascades, Rockies, Mt. St Helens and even Oregon are visible. * Main months of the year to hike the trail, August and September if you don’t want to get rained on. Jack did see snow in late September once. August is the best for dry hiking. Twice as much rain in September. May and June are the worst. * Mid to late September the inns start shutting down. * Permits are normally done by mail, save this year. 4 ranger stations to get permits at the 4 entry points. * Typically it’s a 10 to 12 day hike. * Jack’s advice: hydration and moderation. Start with short days and get your double digit days later. * “You climbing the mountain?” Said the Ranger to Jack. He learned you can mail packages for refilling. Don’t pack for the duration. Mail it 2 or 3 weeks before you need it. Must be in a hard plastic container. Name and permit number required. * They’ll stop you on trail and check your permit. * They will help you change your permit if the trail is impacting your travel time. * The gear list – Jack’s Big Four – Osprey Exos 58 M Backpack 40 oz, Big Agnes Fly creek UL3 tent w/footprint, 27 oz, Marmot Hydrogen 30′ sleeping bag 21 oz, Thermarest NeoAir Sleeping pad 14 oz, Sea to summits backpack cover 4 oz, 96 oz. * They do not allow campfires. You can for car camping. * Most of the rives have bridges. But in July and August, as the glacier melts, the bridges will be overrun by rising water. Note warnings about the need to be across bridges before specific times. * Jack’s hiking in his Salomon XD shoes. * Make sure your gear is water proof. Storms can come in hard and stay longer than you’d like. * Gators are not necessary. * Jack is using a High Tek gravity filter. (I need to confirm the name) A lot of sediment in the water. Look for clear water. Be prepared in case your filter get’s clogged. * Klipatche Park photo was gorgeous. Mountain reflecting in the lake with mist on the water. Water was very filterable. * Upper 30’s to upper 60’s in September. * Great story about Jack’s military buddy who needed a “plan” to cross the suspension bridge. When everyone else sat, Jack crossed. * Additional story of a man’s young son who shook the bridge while he and his father were reaching the mid point. * Story of a guy washing himself in the water with Zest. Jack was convincing him to be more mindful when the ranger came by and grabbed the bar with no questions asked by the hiker. Keep nature natural is the lesson. * One of the most pristine places Jack has been. No trace camping is very relevant here. * Deer, black bears, elk, marmots among some of the wildlife you’ll see. * Marmots are blonde on one side. When hibernating they urinate on themselves which gives them the yellow coloring. * 3 or 4 groups sites. > 4 in a party is a group site requirement. * Jack is taking a tent and 2 hammocks. * They may give you a cross country permit, if you show your are a mindful and experienced hiker/camper. You might need this if you get some, but not all permits. * They now have bear boxes. Haven’t had bear issues in years. * Campsites are anywhere from 4 to 10 miles apart, typically. * Southern and Western are most forested. Northern and Eastern you can see forever. * Trails are mostly dirt. Minimal rocky spots. * 1,507 irrigation steps between Summerland and Indian bar. * Recommendation – don’t rent a car on Seattle airport property. Taxes and fees will double the cost. * NBylon pants, Smartwool toe socks, Icebreaker Merion hirts for warm and cold days, fleece jacket, rain gear, gloves and skull cap, Icebreaker wool long bottoms in case the temp dips. * 30 degree sleeping bag (down) 20 oz is Jack’s choice. Jack Stucki led a great discussion on new gear coming into Black Creek Outfitters. He also fielded questions on general gear options based on conditions, time on trail and durability. These are bullet item highlights of the discussion. Footwear is the most important when it comes to fit. Boots are good for ankle support along with snow conditions. Most boots will be water proof. Hard to find ones which aren’t. Warmth and structure are your gains. Salomon X D is the recommended low top show. They need no break-in (I can attest to that). Vibram is the standard for sole, however Salomon does not use Vibram. They’d prefer to not use Goretex but their contract with REI requires it. Jack showed how the Salomon has a high degree of tortional rigidity: as much as the boot. Climashield is Salomon’s proprietary waterproofing. If Goretex gets wet on the inside, it takes a while to dry. Note that. Jack has over 1,000 miles on his Salomon shoes. Salomon doesn’t promise they’ll last that long. Hiker, trekker and PHD. Those are your Smartwool options. Your version is based on your environment. FITS makes a light, medium and rugged sock. The mill that makes FITS used to make Smartwool. When Smartwool went to China, the mill made FITS. You can’t go wrong with FITS or Smartwool. But Darn Tough may be the best sock out there. Jack sharing Outdoor Research Backcountry Boardshorts. Great, light weight hiking short. Feather light with some give. Jack is wearing Vissla on the Wonderland Trail. Super light weight with great stretch, and quick drying. 150 weight Merino wool icebreaker shirt is his go to shirt. No SPF. The shirt has a tag with a number. Go to the site. Put in the number. You’ll get the location and sheep that shirt came from. ExOfficio 91% polyester shirt is also a solid option. But polyester is petroleum based, if you are concerned. 200 weight Merino wool Icebreaker 3/4 zip is a solid long sleeve base layer. 200 weight Merino wool Icebreaker “long johns” pants are the complete package. Comparing fleece anything to the Arc’Teryx Atom jacket. Spend the extra money and go with the Atom. OR rain gear from 2 weeks ago was our example of the rain proof outer layer. Looking at OR Versaliner gloves. Cool zipper for glove rain cover. Living in Jacksonville, FL affords wonderful access to many water based activities, but time on the Appalachian Trail cannot be had without at least a 14 hour round trip (unless of course airfare and a rental car fits into the budget). So it was with great joy that the May 17th weekend became totally open for both me and my daughter, Sara. My goal was to get her on the AT for the first time, and for me to experience a new section the famous trail. Of course my dog Roxy was required company. She loves trail. Initially Grayson Highland State Park was the destination. Cresting “God’s Stairmaster” to see an open field of wild horses is quite memorable. Mother Nature, however, had other ideas. Vogel State Park was option number two, and even if wet and cold became reality it wouldn’t be too severe for my daughter’s tastes. The horses will have to wait until October, hopefully.